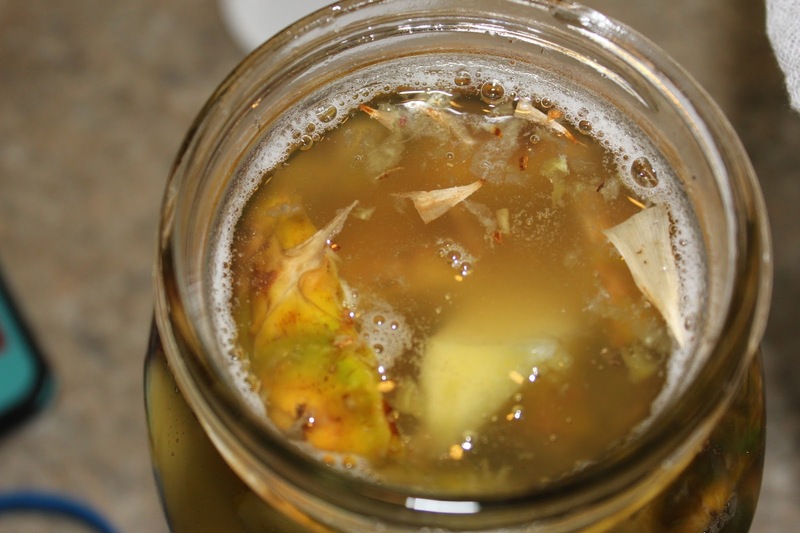 Okay, y'all know I loooooove my Kombucha. Seriously l-o-v-e that stuff. 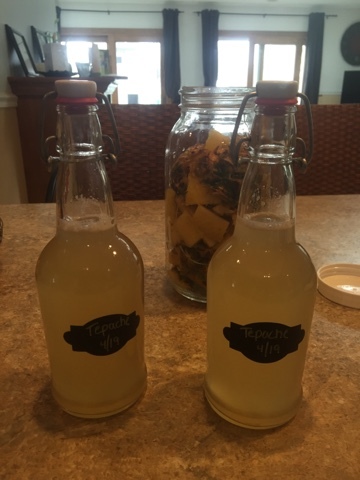 I decided to give another fermented drink a try - Tepache! All it takes is three ingredients. Three ingredients! 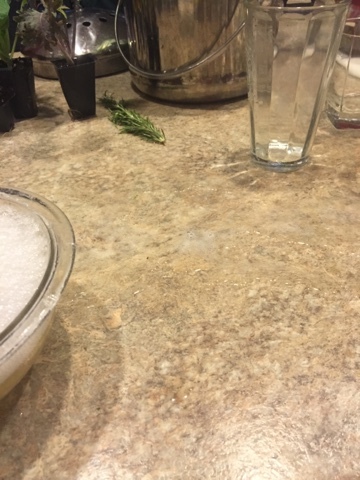 Two that you already have on hand, one that you would normally just toss in the compost. 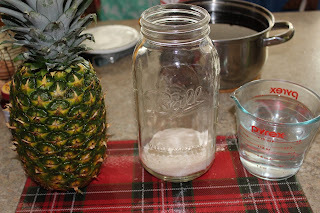 Did you know that pineapple has natural yeast in it's skin? 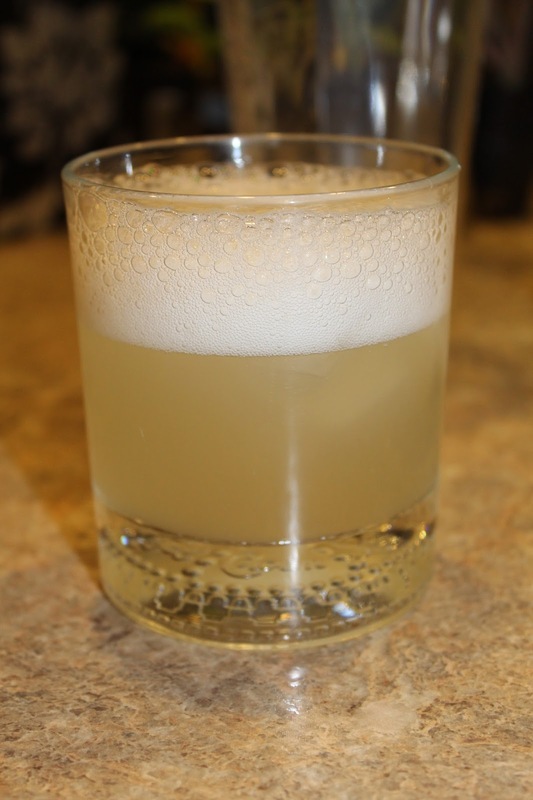 That yeast, mixed with sugar and water can make a delicious, sweet, bubbly beverage. Fantastic alternative to soda! 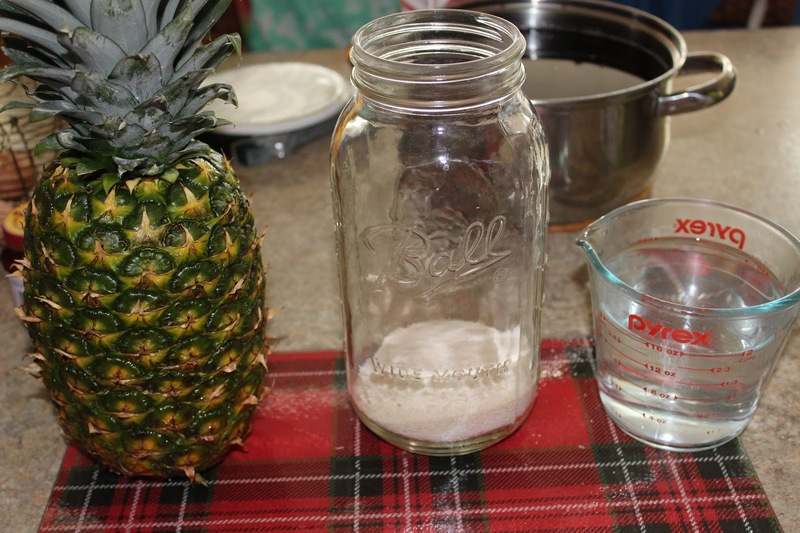 All you need is the skin and core of a pineapple, sugar and water. It's that easy! 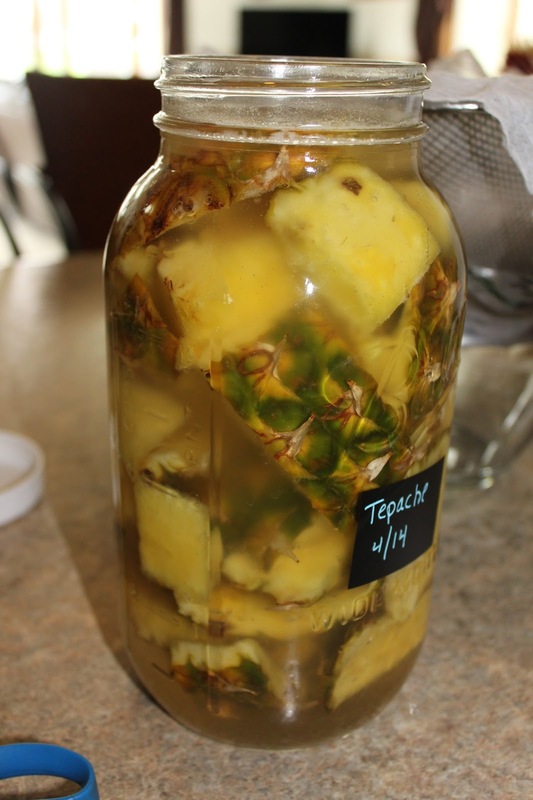 The hardest part of making Tepache is waiting the 5+ days before it's ready to drink. 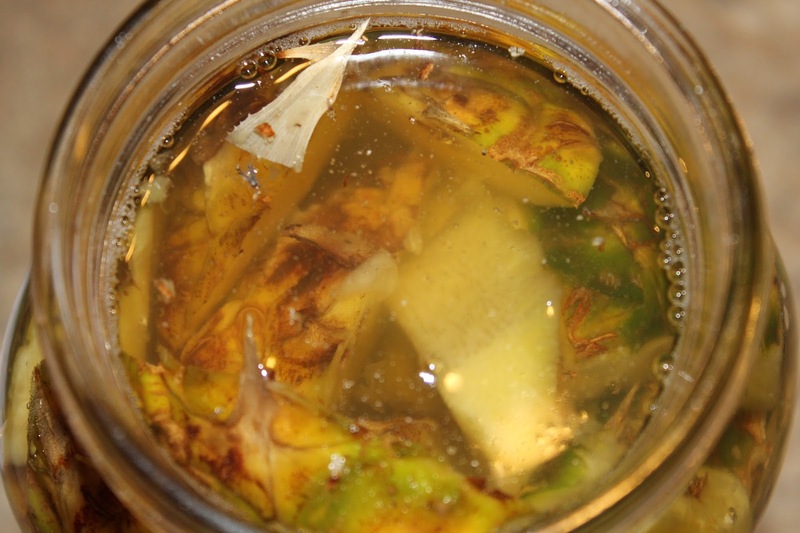 Taste your Tepache daily and decide it's "done" when you are happy with the flavor. For me, five days is perfect. Once you like the flavor it's time to drink! Once you strain it, you can drink it right away, or, bottle it for a second fermentation (2f) to carbonate it more. 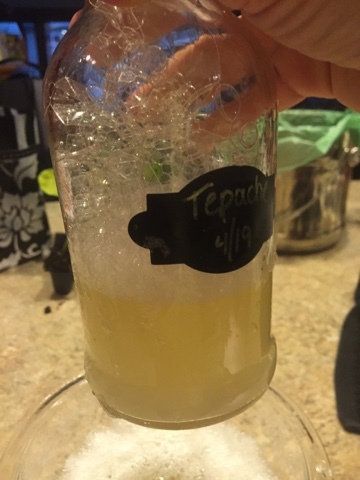 If you do want to bottle your Tepache for a 2f, please scroll to the bottom of the page to read about the bottles to use. Pour the sugar and warm water into the 1/2 gallon jar and stir until the sugar is dissolved. 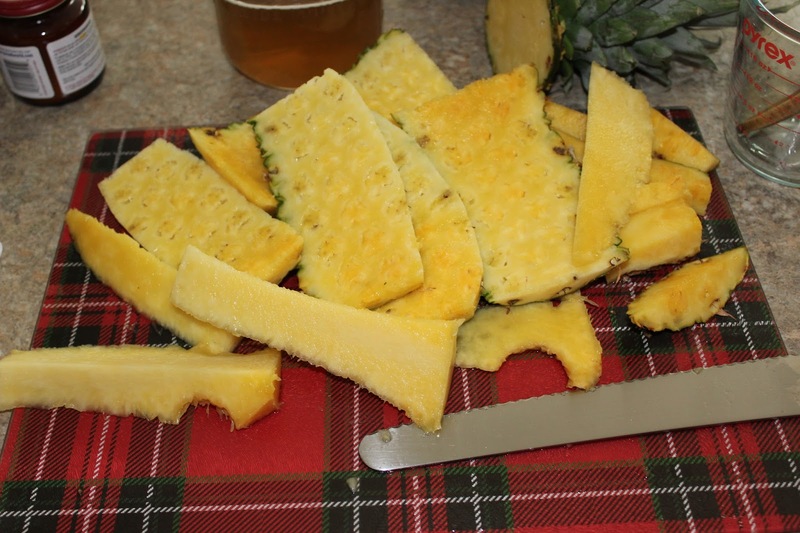 Cut the pineapple skin and core (make sure you eat any of the flesh off of the core - notice the bite marks?? ;) and add to the jar. 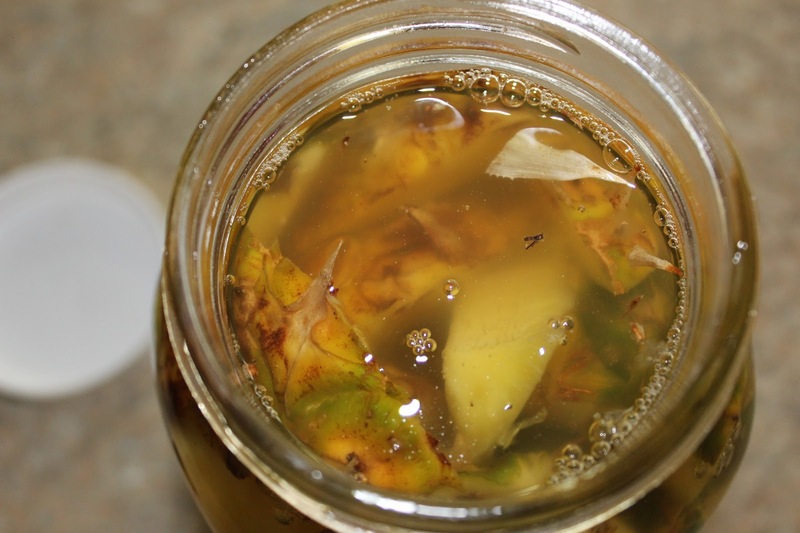 Fill the jar the rest of the way with cool water. 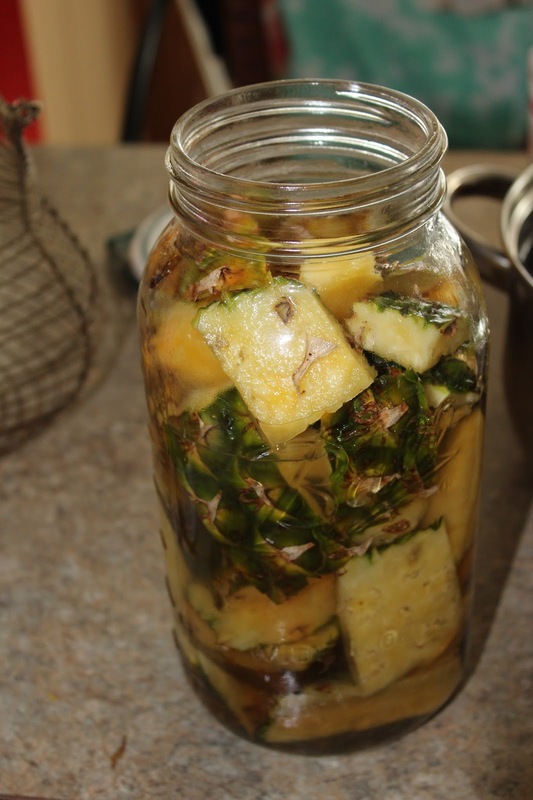 Leave about an inch headspace at the top and be sure that the pineapple is all submerged under the water. 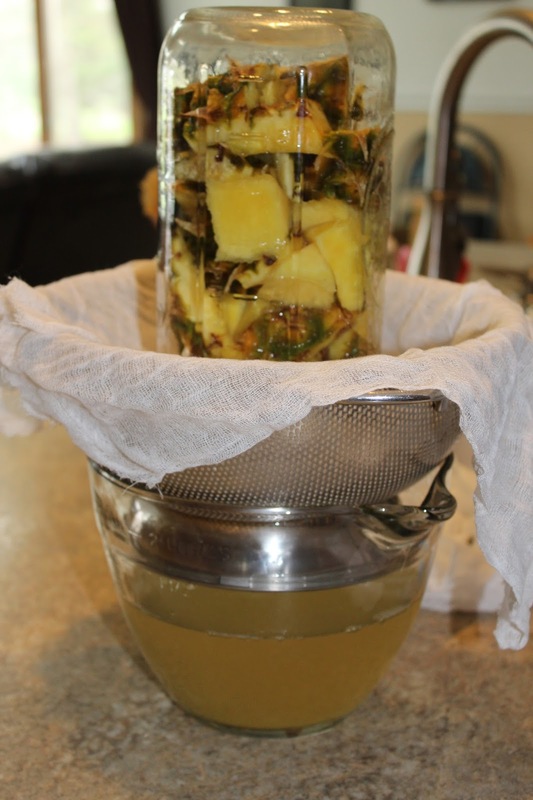 Place the lid on the top and place somewhere to ferment. The warmer the place the faster it will ferment. I keep mine in the kitchen with my Kombucha. You wait. And wait. 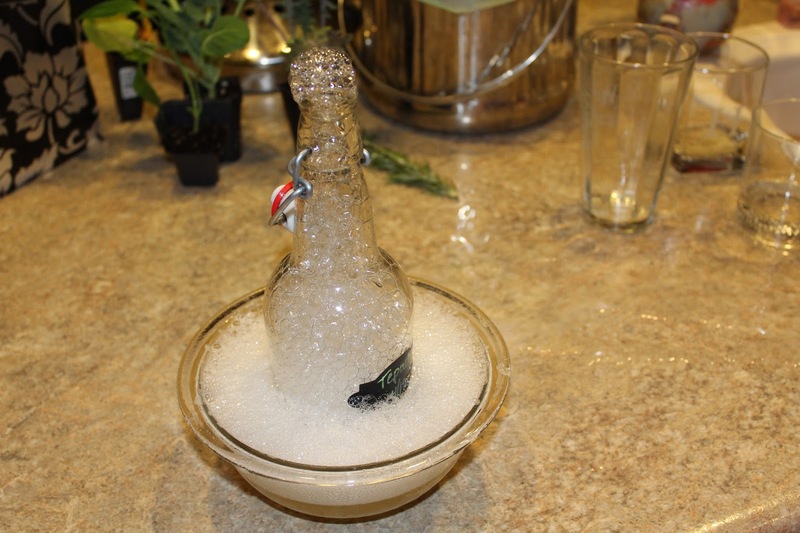 It doesn't take long before you will begin to see some fermenting action - bubbles! 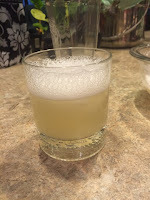 Bubbles mean that the yeast from that pineapple skin is doing it's work, eating that sugar and creating a delicious drink for you! 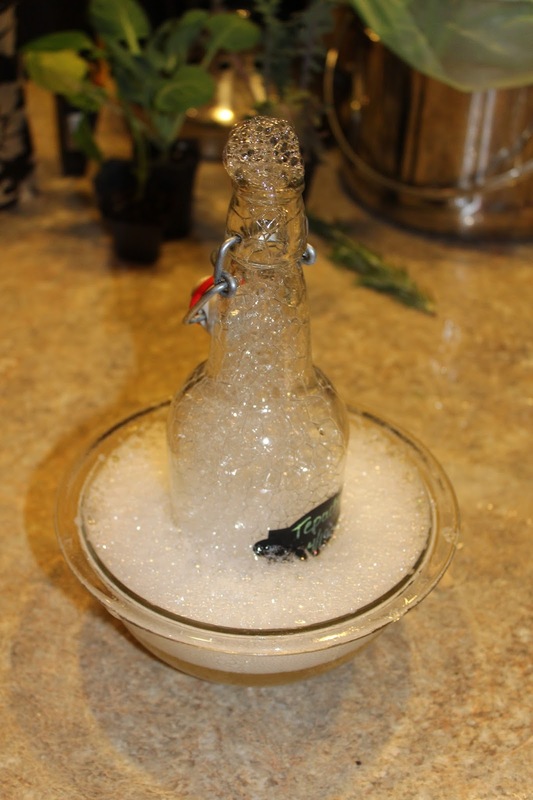 Look at all those bubbles! At this point you can drink it right away, store it in the fridge, or bottle it up. 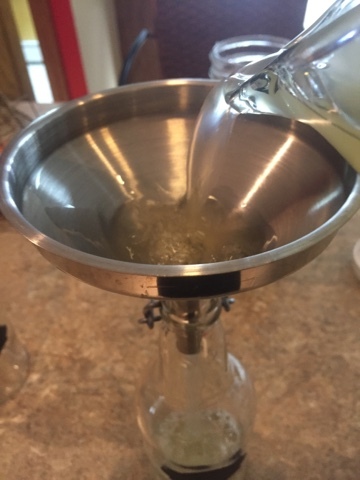 I prefer to bottle it and give it an additional couple of days to ferment and get nice and carbonated. Carefully pour into swing top bottles*, (similar funnel found here) put the cap on and store. 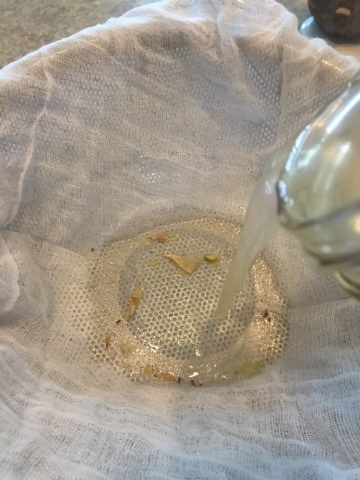 After two days we opened up one of our bottles. 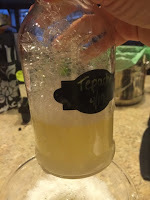 Holy carbonation!!! I was not expecting so much activity! But, the end result was delicious! It is much different than Kombucha - it's not tart, just a sweet, fizzy, pineapple-y drink. 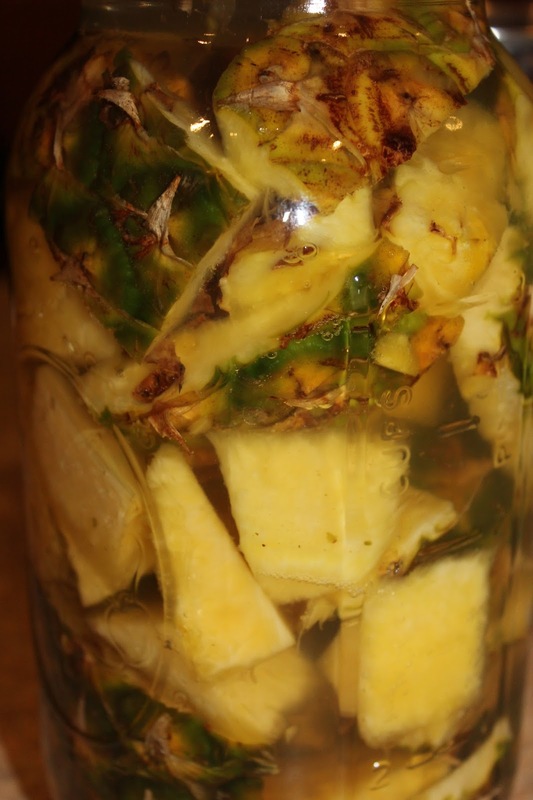 If you are trying to cut back or cut down on soda, this is the drink for you. Well, as long as you like pineapple. It makes for a pretty presentation too. And, I'm thinking this might make a damn delicious Bellini. 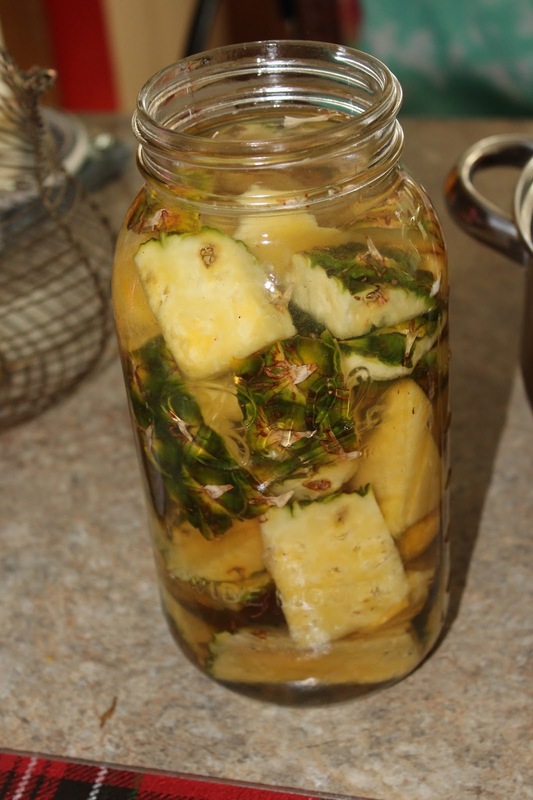 This may be my new summer sipping drink! 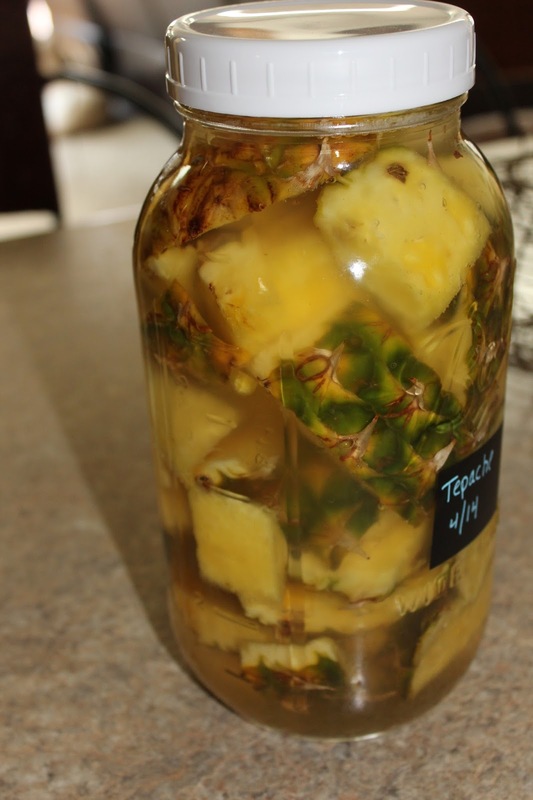 *If you would like to do a second fermentation with your Tepache, please be sure you use a swing top bottle that is made to withstand significant carbonation and pressure. Ideally one that is used for beer making. 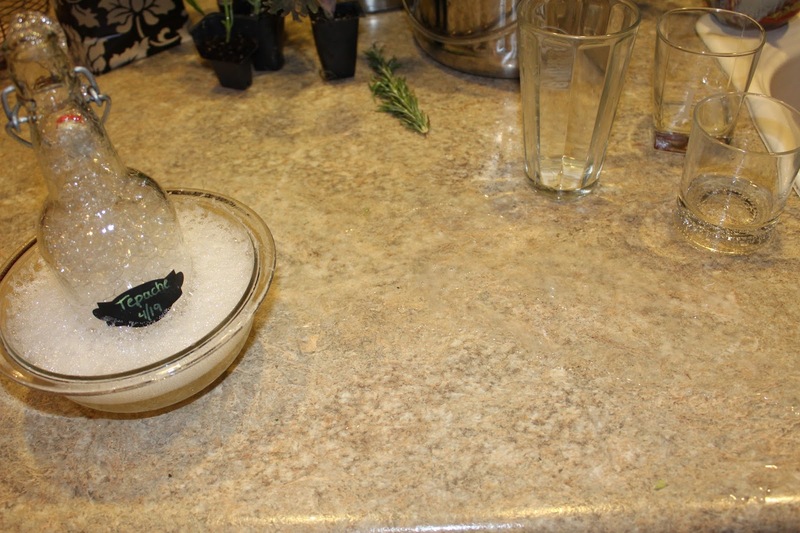 Please do not use any bottles that are square or have thin glass - these are made for decorative purposes only. Your best bet would be to visit a home brewery supply store. I use these off of Amazon. I hope this has inspired you to give Tepache a try. 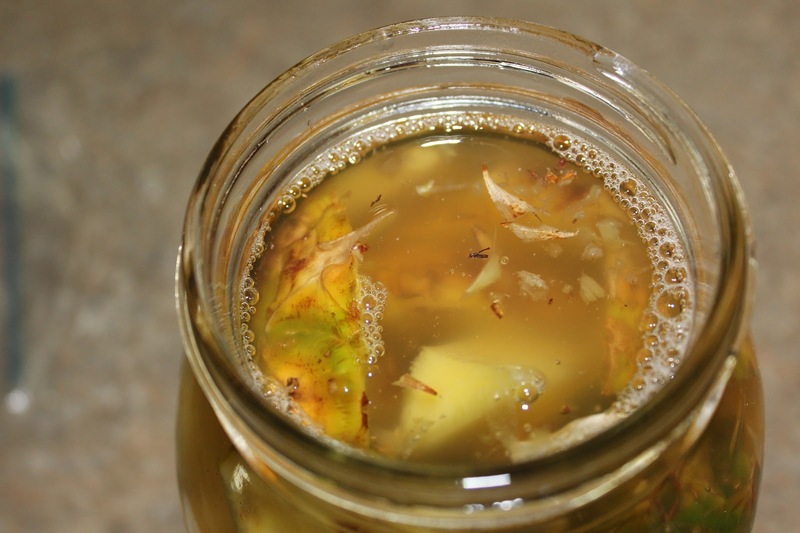 It really is super simple and super delicious! !